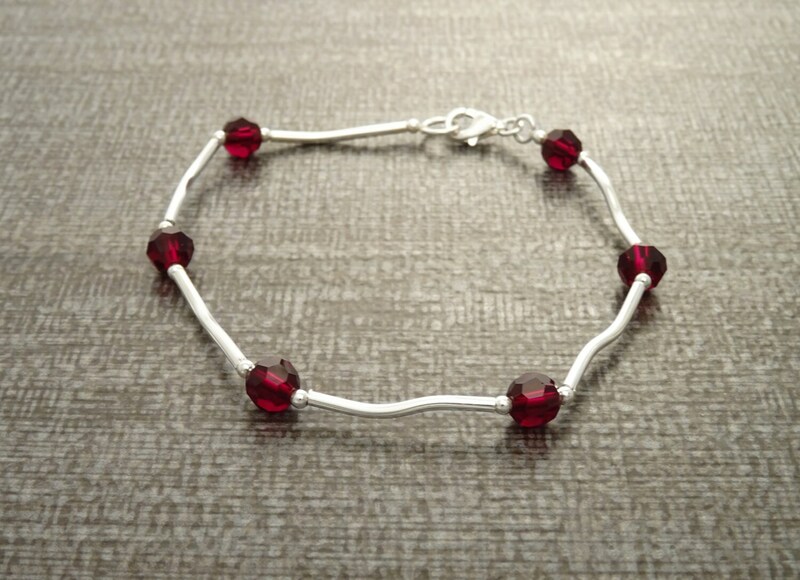 Red Cristal Bracelet, Sterling Silver 925 - Beaded Bracelet. 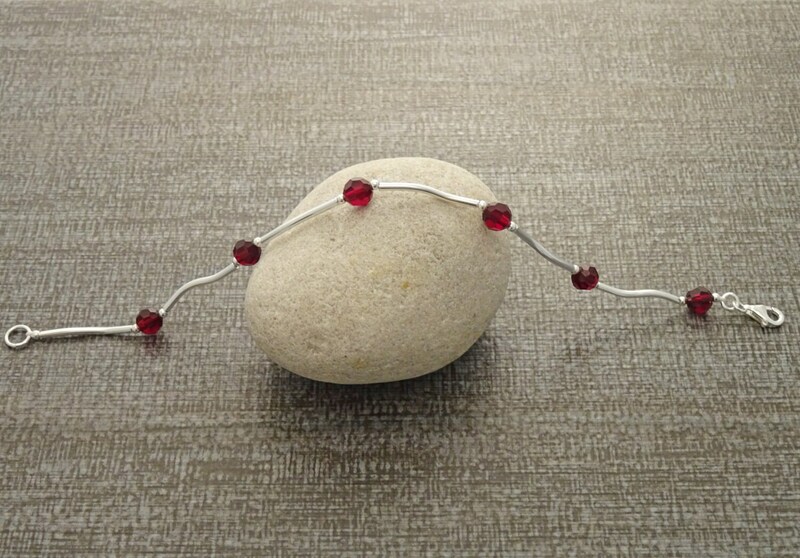 Modern Jewelry. 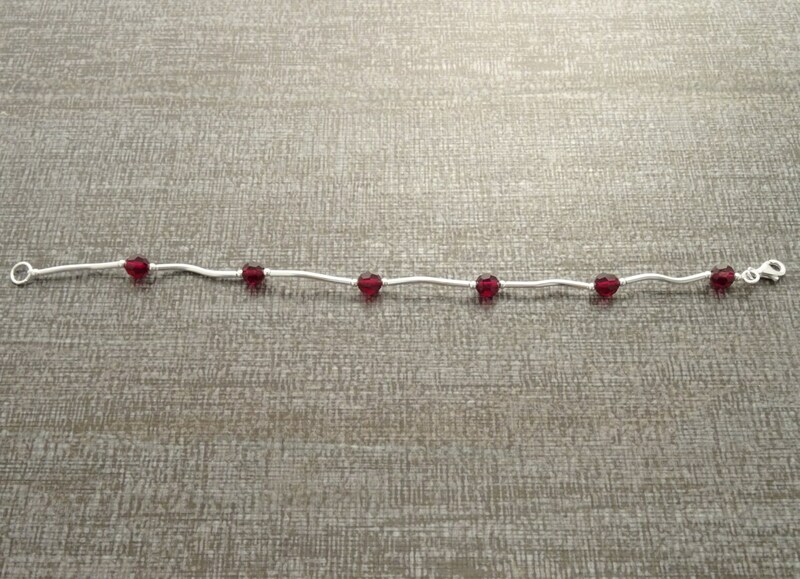 Red Bracelet - Small Bracelet, Minimalist Jewelry. 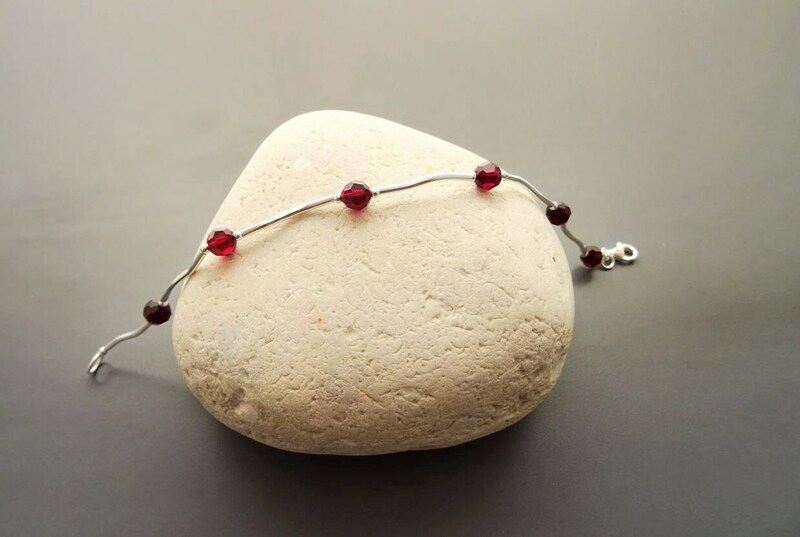 Elegant in design this Casual Bracelet with Red Crystal is absolutely Gorgeous. Rubis Color. 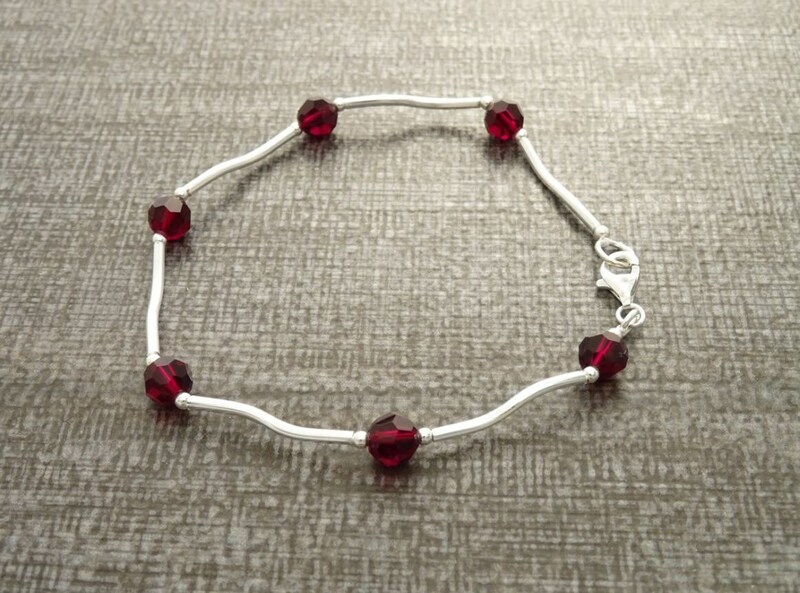 The Bracelet is composed of 6 Crystal beads and Sterling Silver.